Rats, mice and other rodents aren't just disgusting - they also pose health threats. Do Cold Temperatures Kill Bacteria and Viruses? No, cold temperatures do not kill bacteria, viruses, and other microbes; they simply go into hiberation, to thrive when conditions improve. Due to a variety of factors, some biohazards are more common in winter and are more easily spread. Rats and other rodents can carry a severe and sometimes fatal illness called hantavirus. 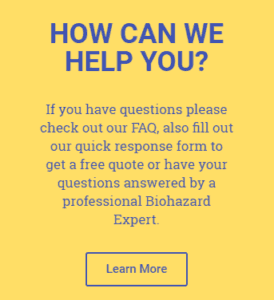 Cleanup from property infested by rodents should be handled only by a professional biohazard cleanup firm.